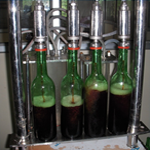 The University has standardized production technologies of various crops and modified periodically based on feedback of extension machinery. 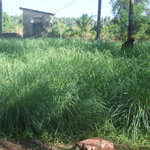 About 87 per cent farmers of Konkan raise seedlings of rice and ragi on limited nursery area specially treated by ‘Rab’ practice which is an eco-hazardous method of heating surface area. 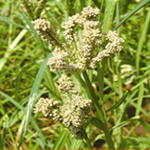 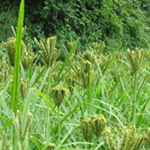 The university has recommended to grow rice and ragi seedlings on raised beds of 10-12 cm height and control weeds by pre-emergence application of herbicide viz. 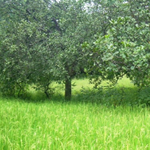 oxadiargyl @ 0.1 kg ha-1. 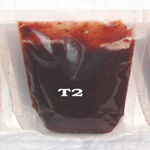 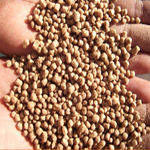 A fertilizer dose of 0.5 kg N, 0.5 kg P2O5 and 5 kg K2O per guntha (R) is recommended for rice nursery at the time of sowing. 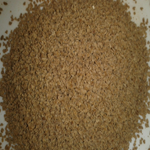 Top dressing with N @ 0.5 kg/R is to be done 15 Days after sowing. 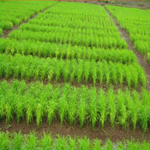 It is recommended to transplant rice seedlings (Improved varieties) of 12 to 15 cm height having 5 to 6 leaves at the age of 20 to 30 days in Kharif. 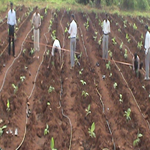 However, during rabi-hot weather season seedlings of 35-40 days age are to be transplanted. 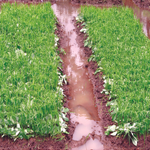 For hybrid rice, it is recommended to transplant one seedling hill-1 of 20 days age at 20cm x 15 cm spacing. 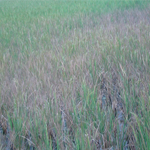 Rice crop is to be fertilized using 100:50:50 kg N, P2O3 and K2O ha-1. 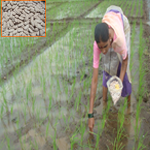 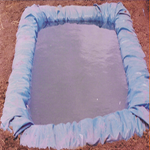 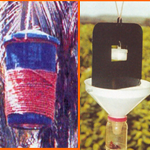 To economize the fertilizer dose by about 50 per cent and avoid polluting effects of fertilizers on environmental components, it is recommended to apply 2.5 tons Glyricidia green leaves ha-1 and place a Urea-DAP briquette in each square of 15 cm to 15 cm at 8-10 cm depth when rice is transplanted by paired row (15 cm x 15 cm-25 cm) system (briquette use @ 170 kg ha1). 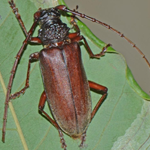 For control of serious pest like stem borer, IPM schedule should be followed. 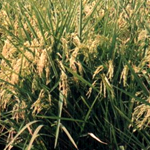 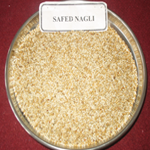 It includes ploughing immediately after harvest of the pervious crop, collection and burning of the stubbles, use of ‘vaibhav’ sickle for harvesting close to the ground, growing tolerant rice varieties and releasing 50,000 eggs of Trichograma japonicum ha-1 3-4 times at an interval of 10 days. 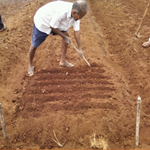 Seeds of finger millet (Ragi) are sown on raised beds by keeping 10 cm distance between rows and using 5-6 kg seeds ha-1. 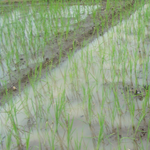 The fertilizer dose to seedlings in nursery should be applied similar to that of rice. 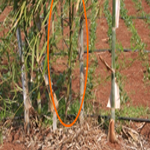 If there is incidence of blast at seedling stage, spraying of fungicides like copper oxychloride @ 2-5 g or zineb @ 4 g liter-1 of water should be undertaken. 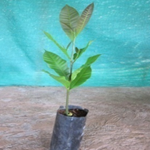 For obtaining maximum productivity, seedlings of 30 days age should be transplanted at the spacing of 20 cm x 15 cm and the crop should be fertilized using 80:40 kg N and P2O5 at the time of transplanting. 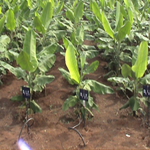 Top dressing of the remaining 40 kg N should be done a month after transplanting before which hand weeding should be done twice at an interval of 15 days. 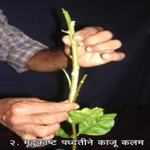 For effective weed management under scarcity of labourers, spraying oxadiazon @ 0.4 kg ha-1 as per-emergence application 2-3 day after transplanting is recommended. 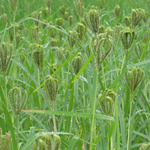 The Plantation of the rice seeds with the use of Drum Seeder proved to be effective, and which is better option to save man power as there is a big problem of farm workers for rice sowing and transplantation. 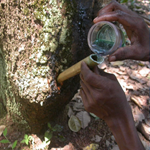 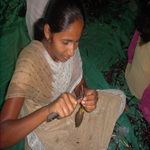 Stone grafting (Epicotyl grafting), technique for mass multiplication of mango grafts has been standardized. 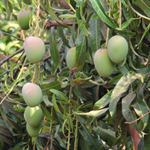 Alphonso is an alternate or biennial bearer and hence application of paclobutrazol is @ 0.75 ml active ingredient per meter average canopy diameter during 15th July -15th August is advocated and its application methodology has been standardized. 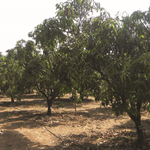 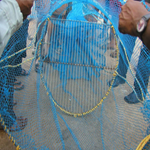 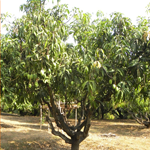 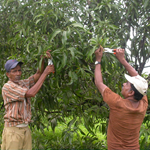 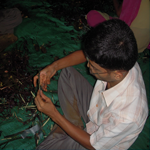 The University standardized the techniques of rejuvenation of mango along with management practices. 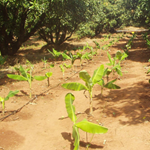 The low density orchards are now being converted in to high density by planting additional one plant in the center of old plants. 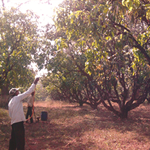 Planting of mango at 5 x 5 m. spacing is recommended in lateretic soil to obtain more net returns per unit area. 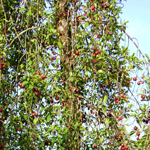 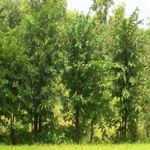 These trees be pruned at the age of 12 years and thereafter pruning be undertaken at every 4 years. 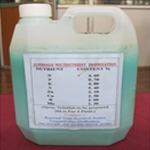 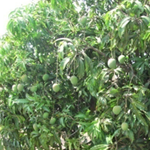 The integrated nutrient management for Alphonso mango is recommended. 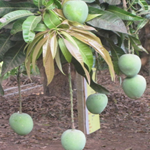 The University has developed “Amrashakti” (Multi Nutrient Spray) for foliar application during flowering and fruit development to improve quality and yield of Alphonso mango. 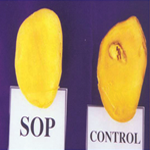 University has advised use of Sulphate of Potash, appropriate harvesting and post harvest management for its control. 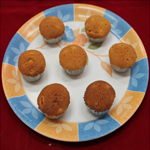 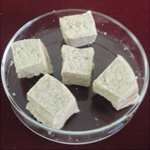 A prototype based on soft X-ray imaging technique for online accurate detection and auto sorting of spongy tissue defective fruits is developed by the University in collaboration with CEERI, Chennai and ECIL, Hyderabad. 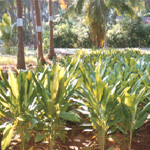 Various vegetable crops such as cucurbits, chilli, brinjal, okra, leafy vegetables, spices like ginger, turmeric, annual fruits crops such as banana and pineapple and flower crops like spider lilly are recommended as intercropping in mango orchards. 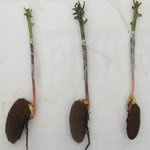 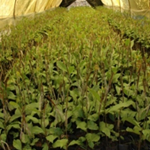 Softwood grafting technique for large scale propagation has been standardized. 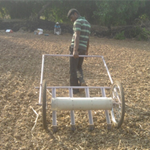 Due to effective dissemination of this technology cashew grafts from Konkan region are supplied in all cashew growing states in the country. 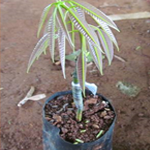 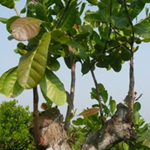 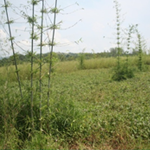 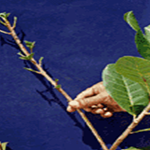 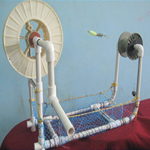 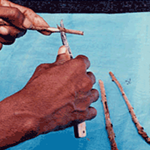 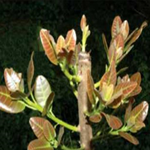 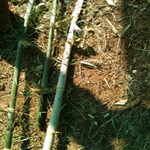 Coppice grafting technology for conversion of seedlings progenies into improved varieties has been recommended. 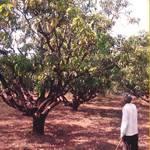 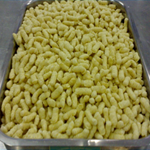 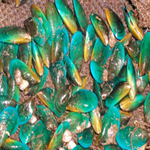 Low productivity in cashewnut is very closely associated with nutrient management. 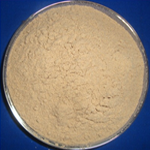 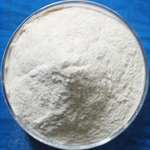 The integrated nutrient management of cashew has been recommended. 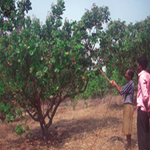 The foliar application of Amrashakti (Multi Nutrient Spray) is advised for obtaining higher yield in cashewnut. 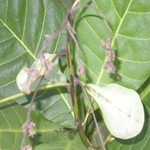 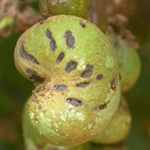 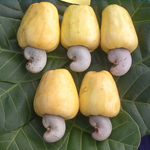 Low fruit set in cashewnut is one of the important factors for low yield. 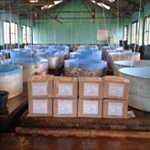 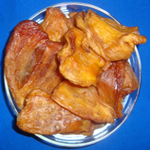 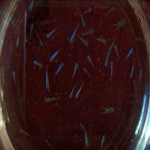 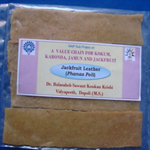 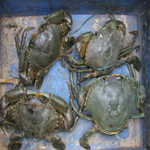 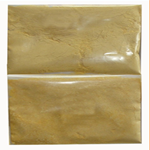 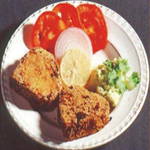 Use of 10 ppm ethrel, 3% urea and dry fish extract has been advised by the University. 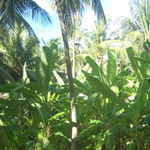 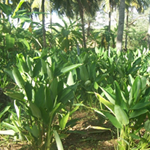 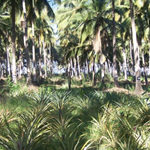 Coconut trees flowers and fruits throughout the year and hence its nutrient management is very important. 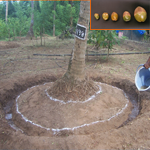 The integrated nutrient management with use of vermicompost prepared from coconut fronds (Leaves) is advised by the University. 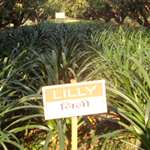 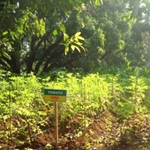 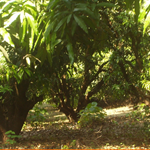 University experimented and recommended crops such as nutmeg, cinnamon, black pepper, pineapple, banana under multistoried cropping system which is popular as “Lakhi Baug” in the country. 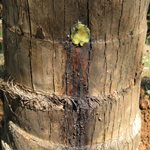 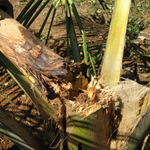 Rhinocerous beetle, eriophite mites, red palm weevil, black headed caterpillar are the major pests of coconut palm. 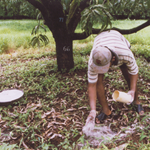 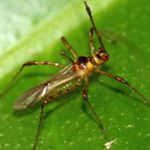 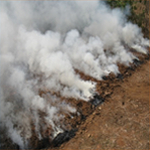 The integrated pest management along with biological control is advocated by the University. 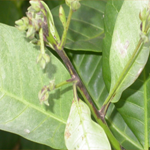 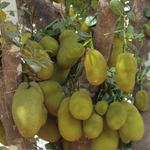 The University has recommended post flowering foliar sprays of nutrient to prepone harvesting in Kukum and Jackfruit. 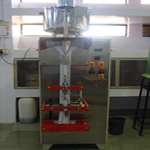 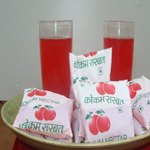 The University has developed methodo-logies for preparation of 69 processed products from the fruits available in Konkan region e.g. 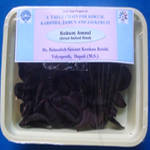 Kokum syrup, Nutmeg Rind, RTS, Squash and Syrup, Osmodehydrated Alphonso Mango Slices, Karondas preserve and Candy etc. 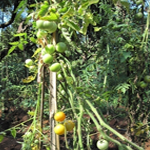 The University had advised Zero Energy Cool Chamber for storage of fruits and vegetables for extension of shelf life of fruits and vegetables. 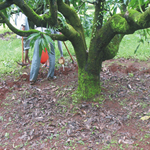 About 7 lakhs cashew apples are wasted every year in Konkan region. 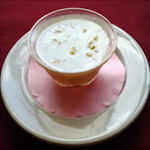 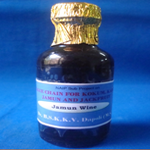 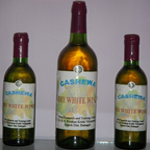 To overcome it, the University has developed technology to prepare wine and ethanol from the cashew apple. 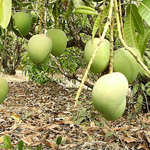 The fruits to be exported to Japan need to be exposed to VHT. 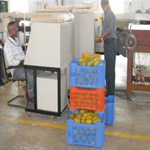 The University has standardized the time of application of VHT to mango. 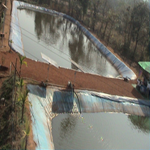 The University has given recommendations on different soil and water conservation measures like continuous contour terracing, staggered trenches, reclamation of kharlands, jalkund technology, plantation of Khas grass on bunds, etc. 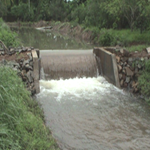 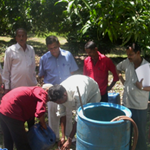 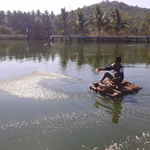 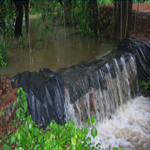 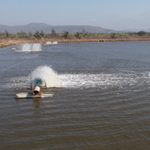 to check runoff losses and to increase water availability for irrigation. 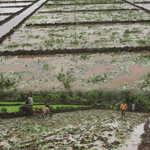 Recommendations pertaining to different cropping systems as per land use classification, farm ponds in watershed areas, micro irrigation systems, water harvesting technologies, etc. 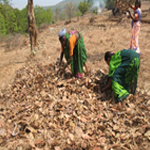 are given to farmers and NGOs. 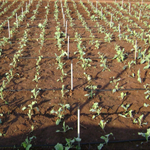 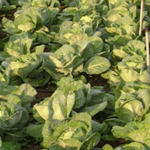 Recommendations regarding the use of micro-irrigation for different crops like banana, watermelon, cabbage, capsicum, broccoli and kholrabbi are made. 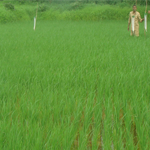 The water requirement and benefit cost ration for these crops are 75.61 cm, 2.34; 43.23 cm, 3.44; 57.64 cm, 6.70;54.40 cm, 12.12;30.98 cm, 1.59 for bababa, watermelon, cabbage, capsicum, broccoli and kholrabbi, respectively. 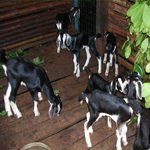 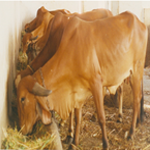 Recommendations, pertaining to the cross breeding in cattle, pasture improvement, quality improvement of the straws and grasses and identification of different top feeds and non conventional feeds, different management practices for rearing of animals under high rainfall conditions, poultry breeds for backyard poultry farming, novel dairy products using fruit pulps, etc. 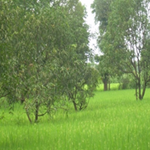 are given.